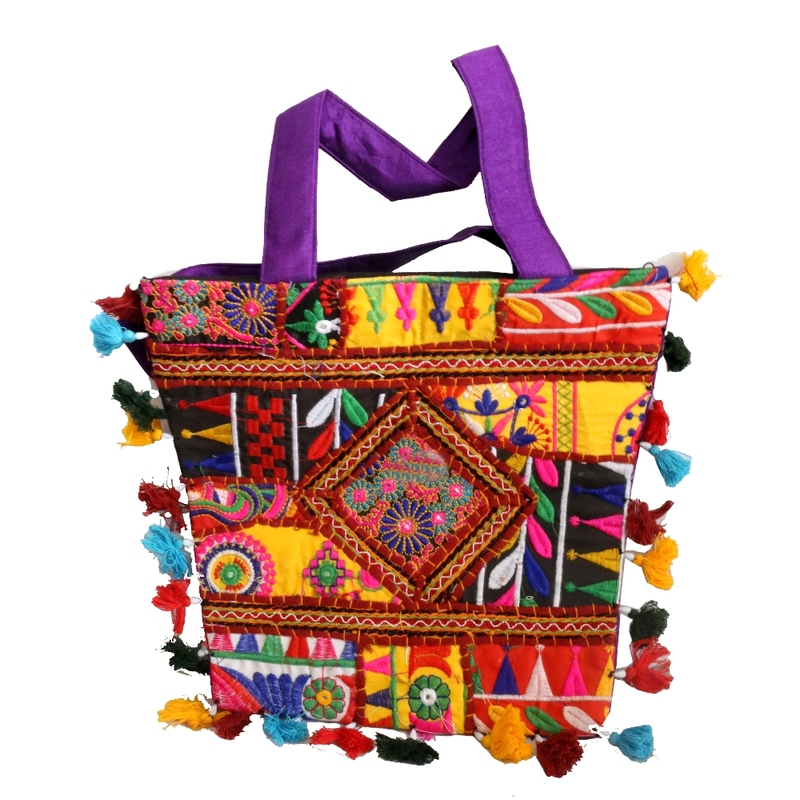 This purple handle embroidery bag is elaborated with colourful miniscule sized pom poms all throughout its sides. It is densely embroidered with colourful patterns. The Read More..appropriate size of this heavy detailing bag makes it useful for college, work as well as for shopping purposes. Show Less..